Restores the cooling function of air conditioning. Increases the lubricity of the oil by 54%. This extends the life of the compressors from 20 to 50%. Prevents the appearance of noise due to vibration and friction. Tested SAE. Contains UV contrast agent. Compatible to electro / hybrid, R134a, and R1234yf (for the R1234yf must be used the AC-120042 fitting). 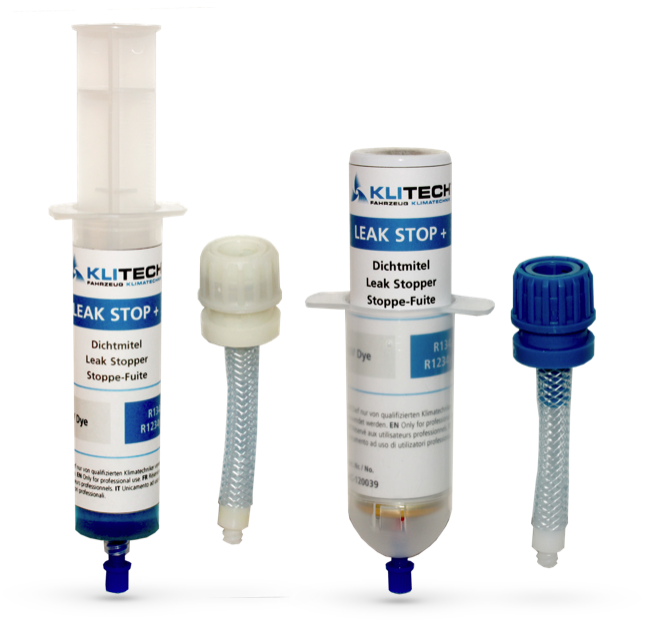 Stop-leak with integrated UV tracer agent. Closes leaks up to 0.5mm. Tested SAE. Does not contain polymer. It does not obstruct air conditioners or service stations. Compatible to electro / hybrid, R134a, and R1234yf (for the R1234yf must be used the AC-120042 fitting). Available in cartridge or aerosol.